Great work, awesome designs, and very high quality signs that last. Searching for the perfect branded sign for your business, promotional need, or event? Want the perfect custom sign, graphic, or wrap? When you want to make a lasting impact, we have the right solution for you! As your local Birmingham sign company, Signarama Riverchase crafts specialty and custom signage elements based on your unique design ideas and specs. We can create custom address signs, banners, and vinyl graphics for your club, home, business, or organization, and our designers especially enjoy creating engaging, impactful custom signage that makes a difference on a business’s bottom line. 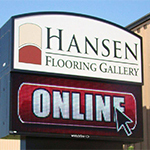 Having a professionally crafted custom sign is one of the smartest investments you can ever make for your business. 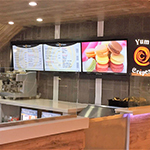 Not only does custom signage allow you to display your business brand and personality professionally, but they also effectively grab the attention of potential customers, allowing you to capitalize on missed opportunities. Call Signarama Riverchase today at (205) 509-8508 for your Free Consultation with a Custom Sign Expert! Set your business apart from your neighboring businesses, competition, and everything else competing for your customer’s attention with attractive, high-impact custom signs and graphics! Signarama Riverchase is your local source for attractive, targeted custom signage that supports business growth by creating a dynamic and exciting business environment. Signarama Riverchase are specialists in turning your vision into functional signage elements for brand promotion. Our highly-talented designers are skilled at interpreting your ideas and thoughts and turning them into a physical design. Regardless of what sign type you need, we can create it. From branded vehicle wraps to custom commercial signage, lobby logo signs, or personalized promotional signage for both on and off-site use, Signarama Riverchase has the tools, skills, and experience to bring your ideas to life! Having a custom sign eliminates brand confusion and helps to establish you as an expert in your industry. Custom specialty signage is also ideal for managing the public’s perception of your business. With custom sign designs that are cohesive with your marketing and branding efforts, you are not only reinforcing your brand but also the level of professionalism that your customers can expect from you. Regardless of the level of customization or type of signage you need, Signarama Riverchase is your dedicated signage provider for all of the eye-catching custom signs your business needs. 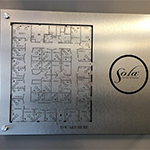 Whether you are an established entity or just starting out, Signarama Riverchase will provide you with a customized solution for any of your signage needs. 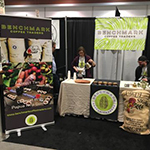 There are virtually unlimited options for how custom signage can help support business growth, and our experts will recommend products, placement, materials, and designs that provide maximum impact on your potential customers. All of our outdoor signs and indoor signs are custom made, tailored to the brand and business of our clients. Whether you’re in need of a single vinyl sign or 50 different signage types, we have the tools, skills, and experience to create the right signs for your needs. Custom signage is the perfect way to display the professionalism of your brand and business while attracting targeted buyers into your business. Signarama Riverchase is committed to crafting attractive, eye-catching signage that helps take your business to the next level. Custom specialty signs are the perfect way to introduce your business to the general public, informing them of what you do and who you are. 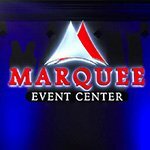 Our talented designers will help you get what you really need out of your signs. 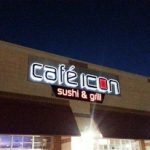 We will discuss your goals and ideas, offer suggestions, and once we have a firm understanding of what your signage needs are; we will provide design proofs of your project for you to review and edit. You can make any design adjustments to your project you desire, including changing the shapes, colors, sizes, fonts, and even materials. 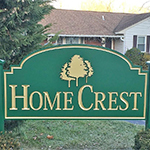 Once your design matches your vision, our experienced staff of sign fabricators will take your project over and begin crafting and prepping your project for installation. While many of our products can be self-installed, some are better left to the professionals for safety and technical reasons. 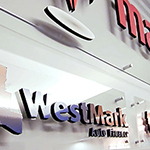 As your local signage shop, we are your local source for attractive custom and specialty signage. With unrivaled customer support and technical experience, we ensure that you get the assistance you want, the guidance you need, and the signage solutions that help take your business to the next level. Signarama Riverchase is here to help you achieve your signage goals and help you reach new market success. Call Signarama Riverchase at (205) 509-8508 for your Free Consultation with a Custom Sign Specialist!